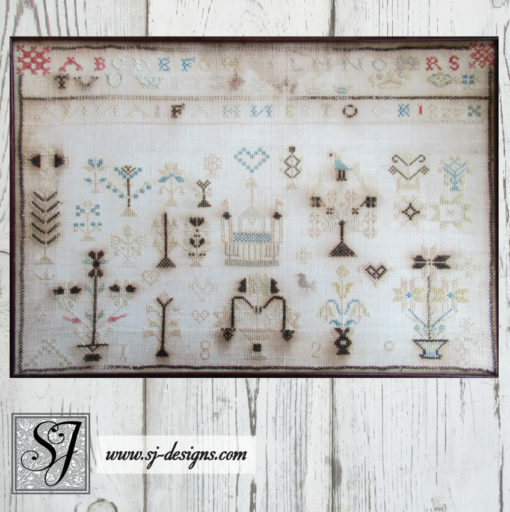 This charming small alphabet and motif sampler was stitched by Anna Fahnestock, dated 1820 and most likely made in an American Pennsylvania German or Dutch community. 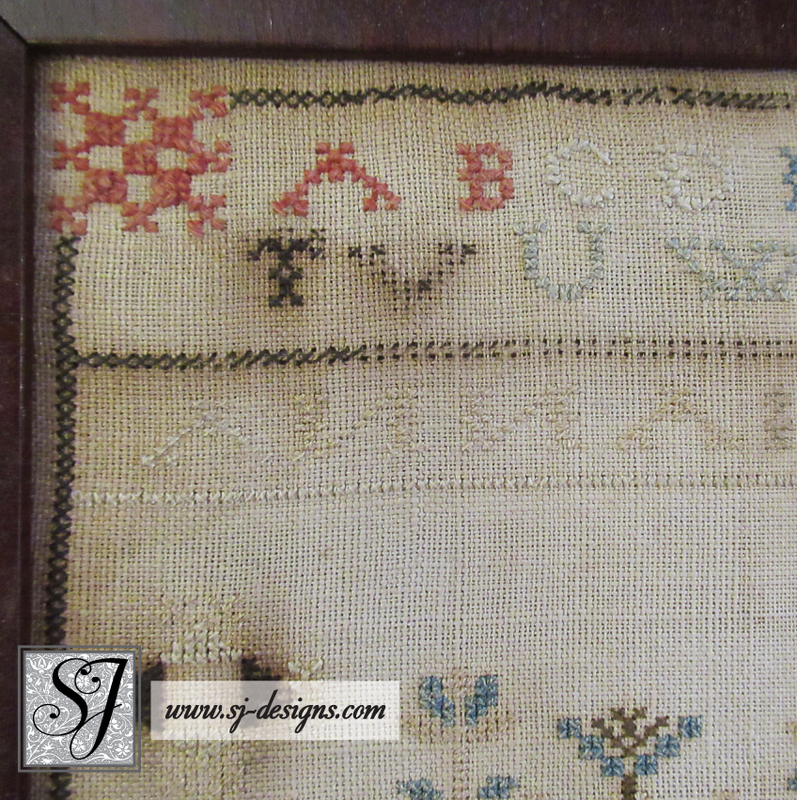 These samplers are rather scarce compared to more typical American schoolgirl samplers. 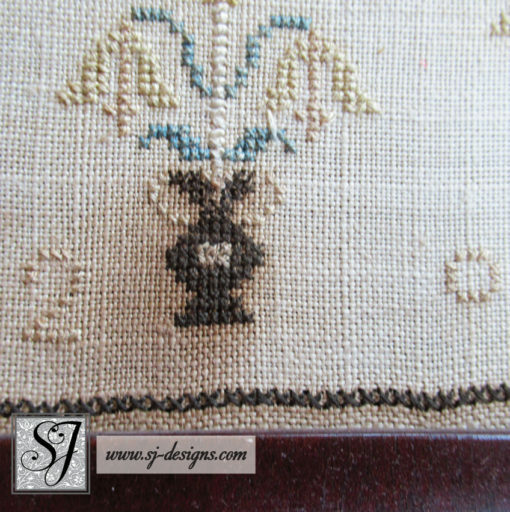 It’s worked all in cross stitches of silk thread on fine linen– some of the silk threads have a tweedy look due to natural dyes used. 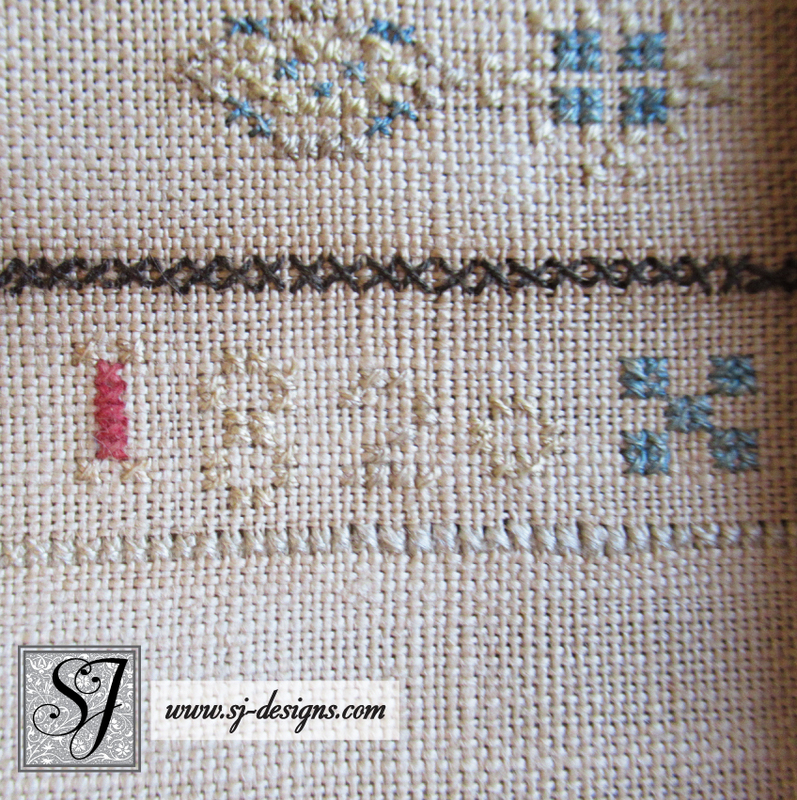 The pale, robins-egg-blue shade is particularly pretty, and contrasts nicely with the red accents. Note the backwards letter N in both her first and last names– even though she stitched it correctly in the alphabet at the top! I suspect Anna may have been very young since her stitches cross in both directions. The style is classic and typical of PA German or Dutch samplers, with traditional tree, flowerpot, heart and bird motifs below the alphabet. 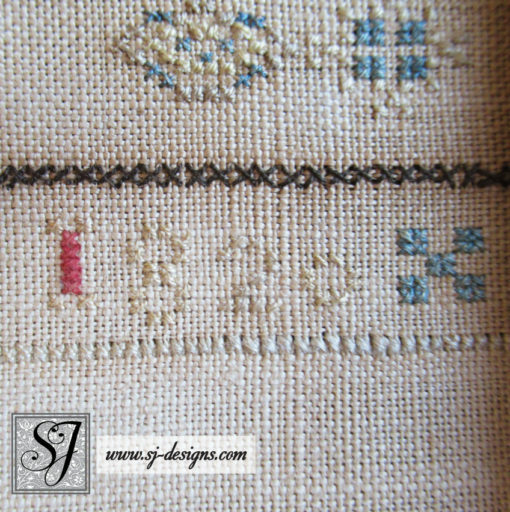 The date 1820 is featured in two areas, right after her name and again at the bottom, spaced between motifs. 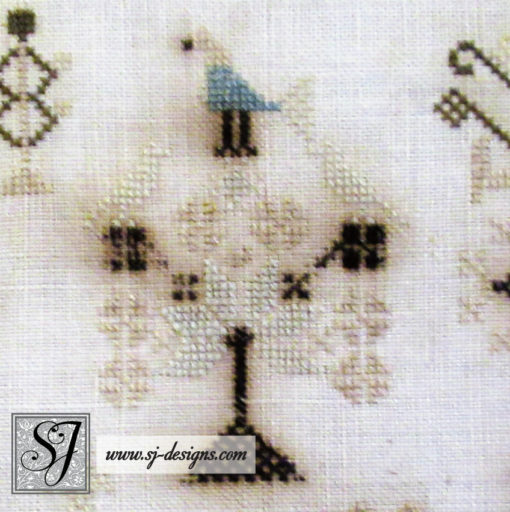 The sampler is in generally good condition. 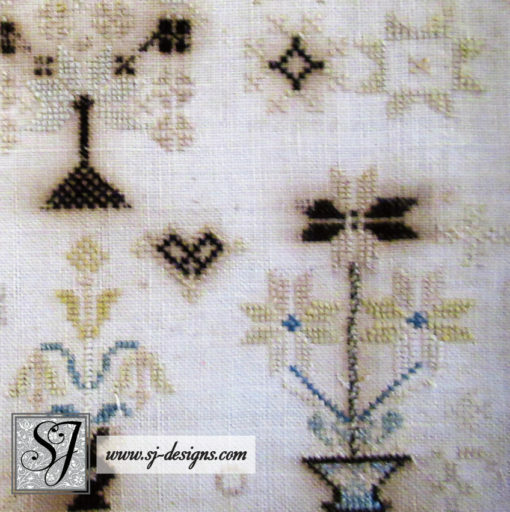 There is some stitch loss in the very dark brown stitches, particularly in the top and bottom borders, due to the corrosive nature of the dye used (also the reason for the dark haze on the linen around those stitches). 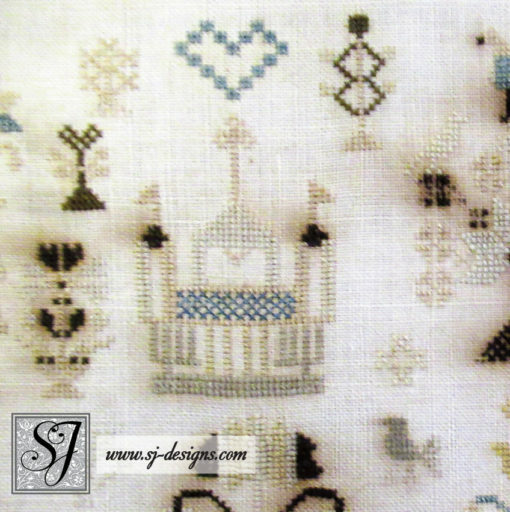 There is a water stain at the top. 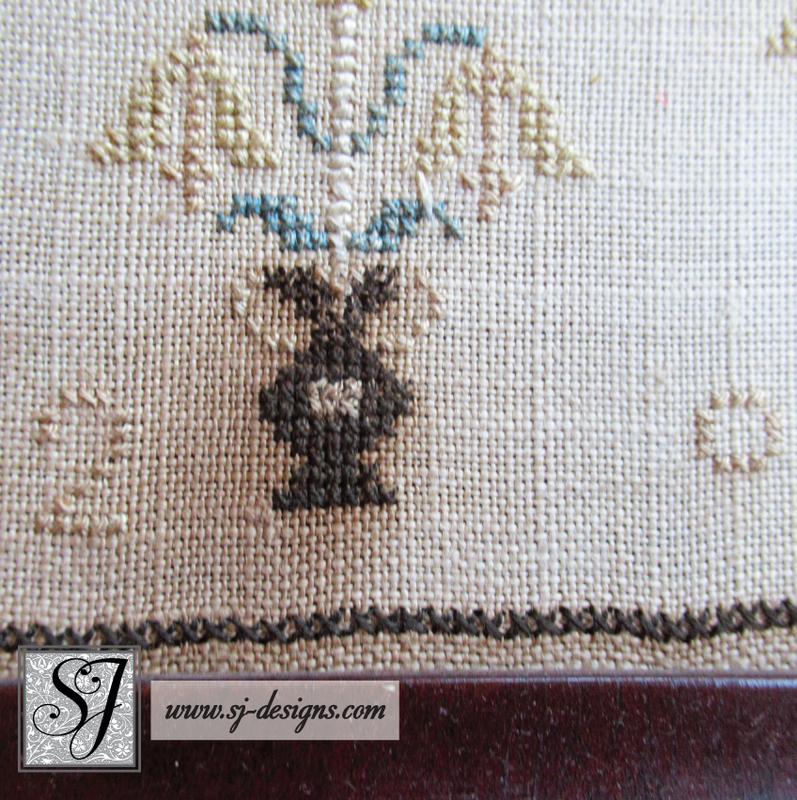 No missing stitches in the other colors, and no holes in the linen fabric. It looks to be mounted on the original wooden stretcher and would benefit from conservation. 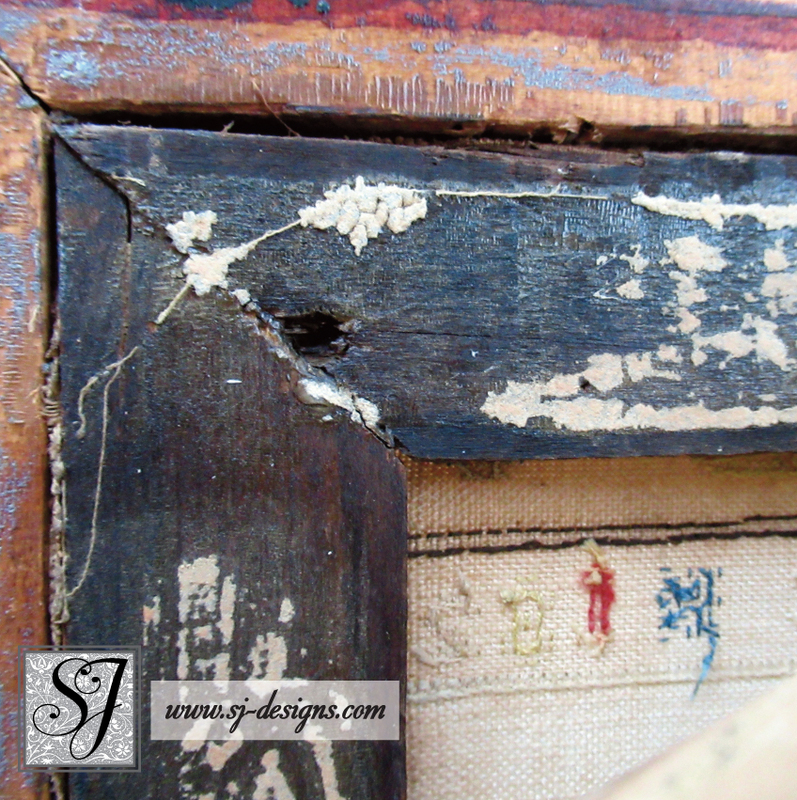 The frame appears to be original; the corners are chipped and the miters are a bit loose, but it’s solid enough and ready to hang and enjoy. 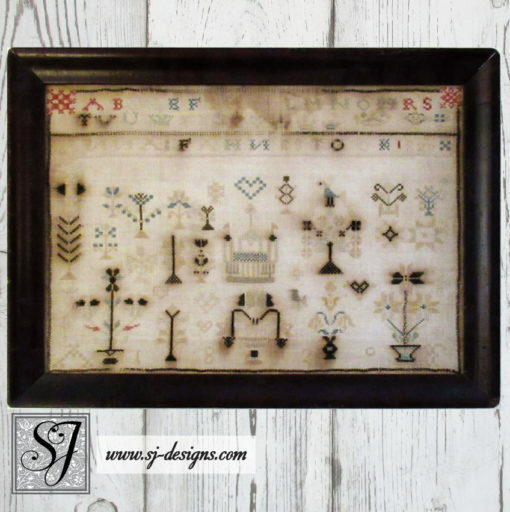 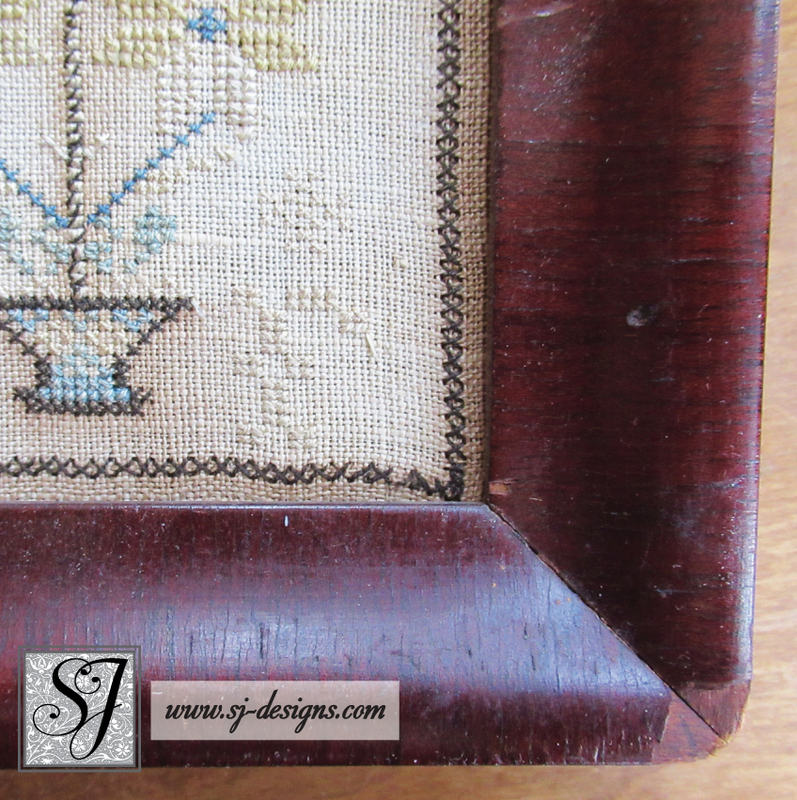 The visible area of needlework is 8-1/2 by 12 inches, and the overall frame measures 11 by 14 inches.